As an infusion nurse, I have given infusions to pregnant patients only for the treatment of hyperemesis gravidarum. The infusions were primarily liters of IV fluids with multivitamins or a modified version of total parenteral nutrition just enough to tide them over until most patients are able to eat and sustain adequate nutrition orally. Otherwise, unless prescribed, pregnant patients are advised not to take any medications and/or infusions. I have been infusing several biologic agents indicated for multiple immune mediated inflammatory disorders for over 10 years now. Several times during that timeframe, I have had the distinct pleasure of infusing a particular biologic agent (REMICADE) to several pregnant patients with Crohn’s disease. The first time I got an order to infuse a pregnant patient, I was very concerned and had to double check with the ordering physician. The patient was in her first trimester and was experiencing recurrence of Crohn’s disease symptoms and control of the symptoms is important for sustaining the pregnancy to term. I gave the infusion as ordered and the patient did very well. Since then I have infused other pregnant patients with Crohn’s Disease and other autoimmune disorders for which the agent is indicated for. If you have to intentionally infuse a biologic agent during pregnancy, here are a few points to consider. Pregnancy Category –The FDA requires manufacturers to label all medications with one of five pregnancy medication categories. These categories provide a way to classify the risk of taking each medication during pregnancy. While no medication is completely safe, this is a way for patients and healthcare providers to make educated decisions about whether to use a medication or not during pregnancy. For this particular biologic agent, it is classified by the FDA as category B. This means that animal studies have not revealed an increased risk of birth defects or fetal abnormalities, but there are not adequate studies in pregnant women OR animal studies have shown an effect but adequate controlled trials in pregnant women have not shown an increased risk of birth defects or fetal abnormalities. 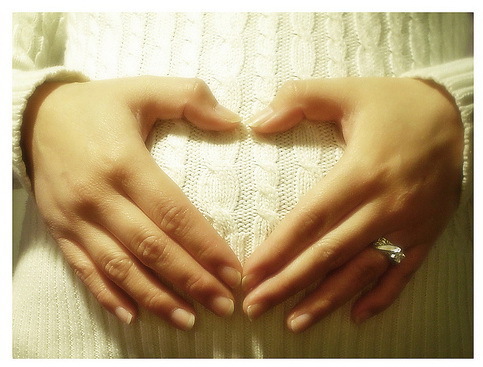 For more information about the FDA pregnancy categories, click here. The physician has the responsibility to notify the manufacturer of the intention to use their agent during pregnancy. Many manufacturers will follow the patient during the pregnancy and post delivery, both the patient and the newborn. In addition, the manufacturer also follow pregnancies fathered by male patients on this biologic agent. For weight based medications, calculate dosage based on current pregnancy weight. If using pre-medications for the prevention of infusion reactions, check the FDA pregnancy of each medication. For common oral medications used, Tylenol (Acetaminophen) is category B. Benadryl (Diphenhydramine) is category B. Check with the prescribing physician for the need for pre-medication orders. · There were no published data for intentional use of the biologic agent at the time I did the first infusion. However, there are now several data on file with the manufacturer as well as published studies on the intentional use of this particular biologic agent during pregnancy and the outcomes. Although more studies are needed, based on the available data, the benefits of infusions during pregnancy to keep the mother’s disease under control may outweigh the unknown risk to the fetus of exposure to the biologic agent. So what happened to the first pregnant patient I have given the infusion to? Here’s the happy news. She delivered full term without any problems to a healthy baby boy. Since then, she had two more full term pregnancies during which she received infusions until she delivered two more healthy boys. To date, she continues to receive maintenance infusions for the treatment of her Crohn’s disease. ← “SINGLE USE ONLY” …..